Living TransparentLee | A life unveiled. Welcome to the Living TransparentLee blog! This blog takes you through the journey of life of one woman, absent of all facades and full of transparency. 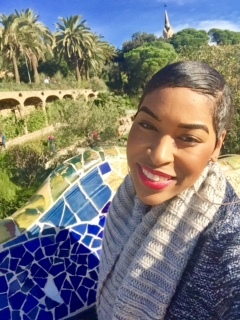 She exposes the real, the raw, the ugly, and the beautiful while cruising through her experiences of motherhood, marriage, self-love, spirituality, and world travel as a woman of color. In this social media era, many have a tendency to paint this picture of their lives being perfect, when in reality, it is far from it. Facades never helped anyone, but transparency does. Be moved. Be enlightened. Be inspired. To find out more about the reason and motivation behind the Living TransparentLee blog, click here to read the First Blog Post. Enter your email address to follow the Living TransparentLee Blog and receive notifications of new posts by email. Leanna is a mother, wife, and a full-time Army soldier. She is from Brooklyn, NY but currently resides overseas in Germany. In her spare time, Leanna can be found exploring a new travel destination, immersed in a novel, or volunteering at a soup kitchen. She has a passion for helping and inspiring others. Leanna is a proud Penn State Alum who also has a secret addiction for Haribo's Gummy Bears.